Call the company with the 6 truck 4000 gallon capacity fleet. Our trucks have 6 way spray heads, hose reels, nozzles and plenty of hose on board. The pump systems have plenty of power to reach far out and to efficiently run multiple spray heads at a time. Trucks are equipped with C.B. radios to communicate with the jobsite foreman and blade men. 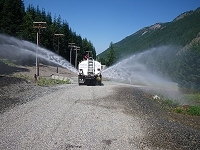 Our drivers are trained in the “art” of dust control and compaction. Our strong pump systems and adjustable spray heads are great for street cleaning and flushing. 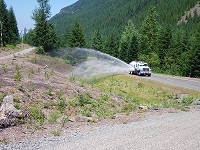 We quickly fill wheel washes and can rain down the water for new hydro seeding. 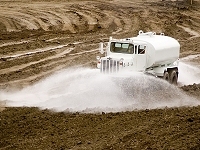 We work with local water departments to obtain water permits and the closest supply of water for your jobsite saving you money. We are always in good standing with water municipalities. We are there when you need us. Call our friendly dispatchers to set up your watering needs. 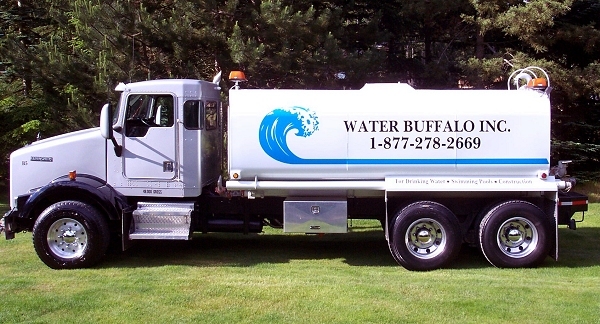 "Water Buffalo has always made my job easier. 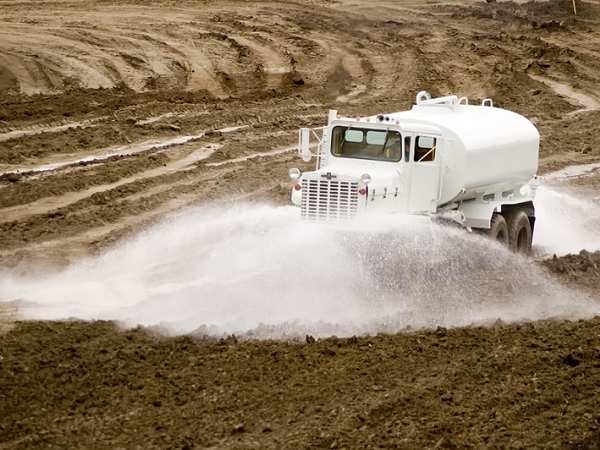 When needed, they track down the closest water source and deliver on time. The feedback from our supervisors in the field is consistently good, making Water Buffalo an easy choice. The office help is always very friendly and helpful."